This is an example of a redundant design incorporating an interlocked primary feed with an automated secondary breaker. The primary switches required multiple Kirk-key interlocking schemes to ensure that both switches were opened prior to admittance into the medium voltage fuse compartments. This project was a retrofit with the addition of the redundant primary switch onto the existing primary switch and the associated interlocks and controls. 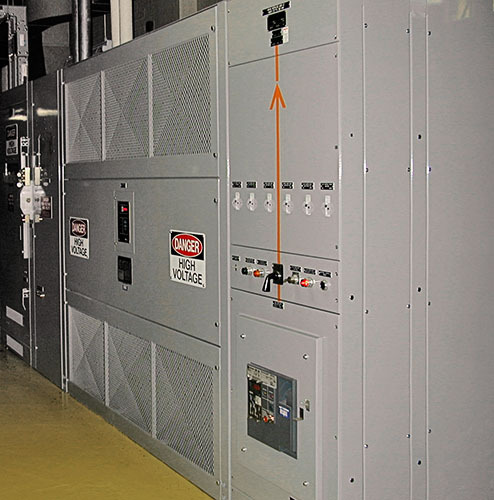 The retrofit also included the automated, with manual over-ride, control of the secondary power circuit breaker.